If you've ever ridden a bicycle, you are familiar with the frustration of sitting and waiting at a red light and not being able to trigger the signal. Urban legend says that the sensors are either weight or magnet-based, but with a bit of research it turns out that sensors are actually based on the principals of electrical inductance. An inductive loop is a coil of wire embedded in the road's surface. To install the loop,the asphalt is layed and then a groove is cut in the asphalt with a saw. The wire is placed in the groove and sealed with a rubbery compound. You can often see the rectangular scar in the asphalt if you look around. When a changed of inductance is detected, the signal is triggered and you go green. So the next time you are stranded at a red light on a bicycle, look for the rectangular inductance scar and ride over to it, or just proceed through the stop light as if it were a stop sign. 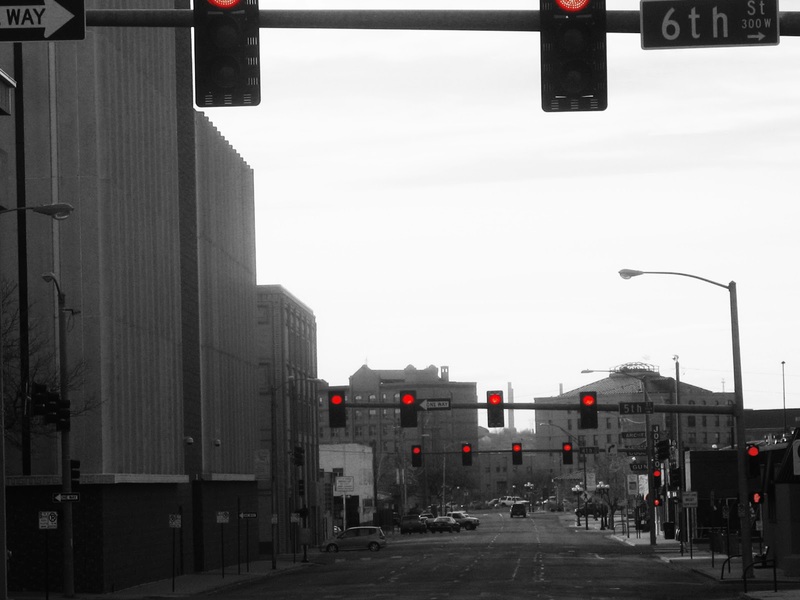 As far as I know, the law states that when a red light is unresponsive, a motorist (including a bicyclist) may proceed through the intersection with caution when it is safe to do so.